Segment your opportunities for live forecasts or historic reporting. You can quickly segment a default/static group by applying filters to it. 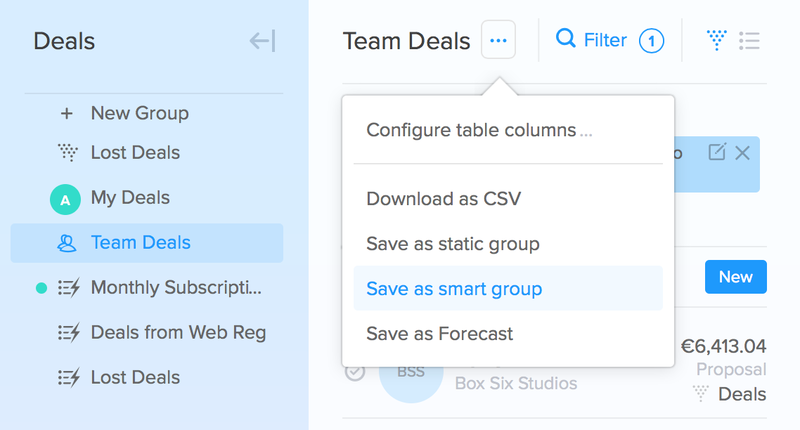 Or you could create a Smart group and apply filters. 1. Go to the Deals section. 2. Click on the group that you would like to apply filters to. 4. Select the filters to be applied. 5. Save the parameters. 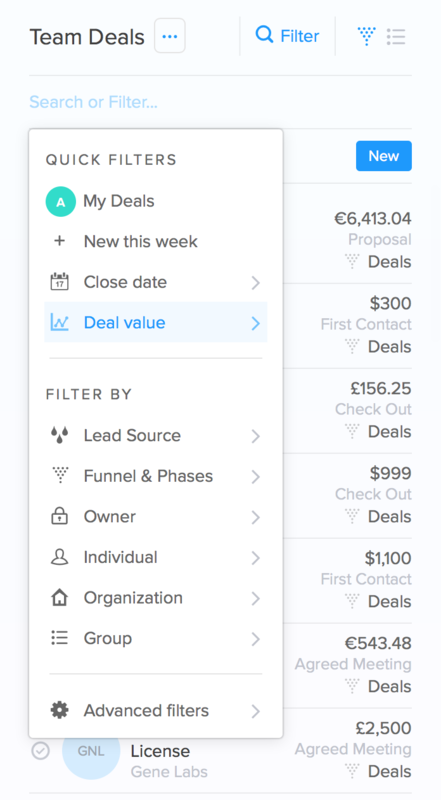 Those filters applied will appear at the top of the Deals lists. 6. If you are going to need this filter frequently you can save it by clicking save as a smart group.